Despite boasting of a world-class squad and a financially well-off system, Real Madrid have been criticized for not properly utilizing their youth academy to the best extent possible. The discussion holds massive relevance owing to the fact that their archrivals have a healthy inflow of young talent coming into the main team, from their very own ‘La Masia’. We take a look at five great players who came from the Real youth academy and later played for the Los Blancos. Real Madrid have had a plethora of great midfielders, but Guti will always stay close to the fans. Jose Maria Gutierrez Hernandez joined the youth set up at 8 years of age and made 542 appearances for the club, scoring 77 goals. 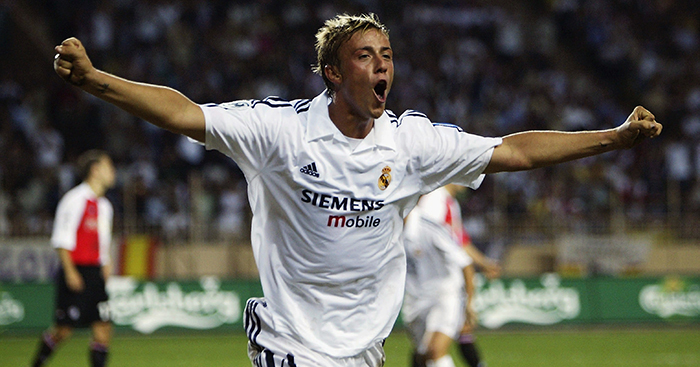 With an impressive tally of five league titles and three Champions Leagues, Guti was an epitome of vision and passing range. He is terribly underrated as a footballer, and has donned the red colours of ‘La Roja’, the Spanish national side. Before the likes of Michel Salgado and Sergio Ramos, Chendo cemented his position in the Real Madrid team as a top-class right back. Miguel Porlan Noguera or Chendo was a one-club man who spent 21 years with the capital club. He joined the first team in 1982 from the youth academy and made 297 starts out of a possible 320. During his time, Chendo won seven La Liga titles, 2 Copa Del Reys, one Champions League and 2 UEFA Cups. The name given to the five Real Madrid academy players who represented the club in the 1980s was ‘La Quinta del Buitre’, and the same was derived from El Buitre, Emilio Butragueno’s nickname. A prolific striker who shone both for club and country in what was an illustrious career, he had sublime dribbling, spectacular vision and clinical finishing. Having formed a partnership with Hugo Sanchez, he scored 171 goals for the Los Merengues. He won six La Liga titles, two Copa del Reys and two UEFA Cups. The Spanish champion goalkeeper needs no introduction, as he was the undisputed numero uno in goal for more than a decade. Iker Casillas joined the Real Madrid academy at nine and represented the club for quarter of a century. He was called up to the senior set up for the first time at 16, and went on to become the youngest keeper to play in a UCL final in 2000. Casillas proudly represented Real in 725 games, winning 18 titles including five league titles and three Champions League trophies. 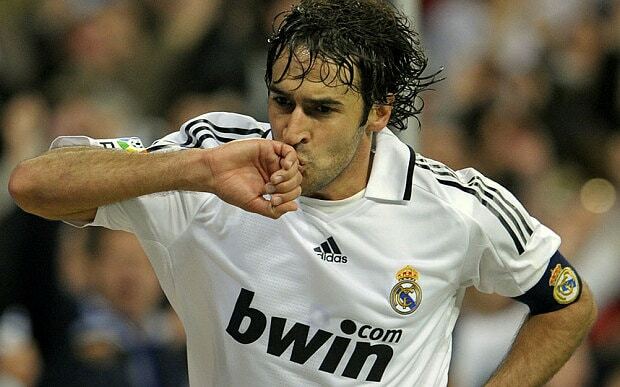 One of the most prolific strikers in football, Raul Gonzalez is a Los Blancos legend. 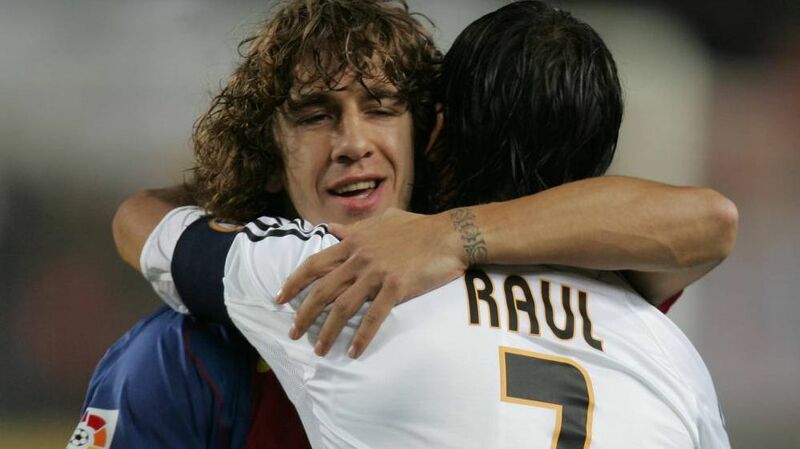 Probably the best player to have come through the youth ranks from ‘La Fabrica’ for Real Madrid, Raul has scored the second most goals for the club (323), and is only behind Cristiano Ronaldo in the list. The Spaniard has over 100 caps for the national team, and has netted 44 times for La Roja. He boasted of a great discipline record, having never been issued a red card, and by the time he left Madrid for Schalke, he had six La Liga titles and three Champions League wins.